WebpageFX, a responsive web design firm, offers a wide range of website design and development services, including SEO, lead generation, e-commerce development, mobile and SMS marketing, infographics, motion graphics and much more. WebpageFX is committed to working hard to ensure that each customer is truly satisfied with their website design and other services. They have helped many medium and large sized businesses of all kinds increase their bottom line through internet marketing, SEO services and website design. 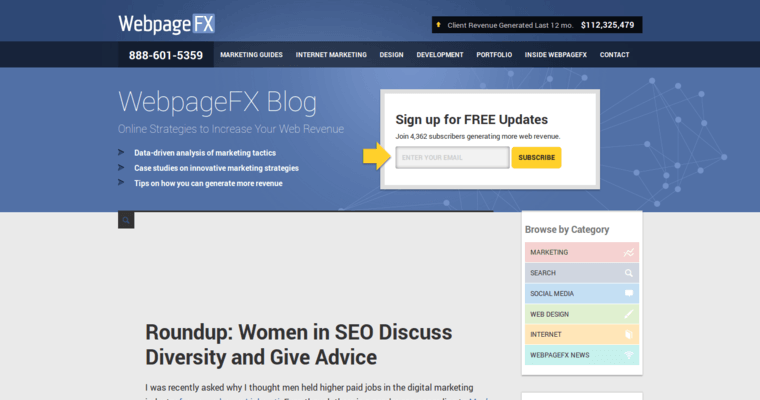 A team of certified website design and development experts, consultants and social media marketing professionals makes WebpageFX's work some of the best on the internet. 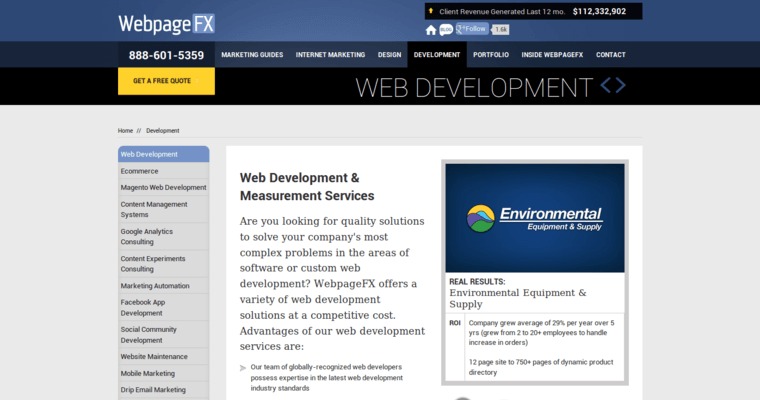 The entire team at WebpageFX is dedicated to keeping up with the latest technology and website development trends. This helps ensure that they meet each and every customer’s goals. 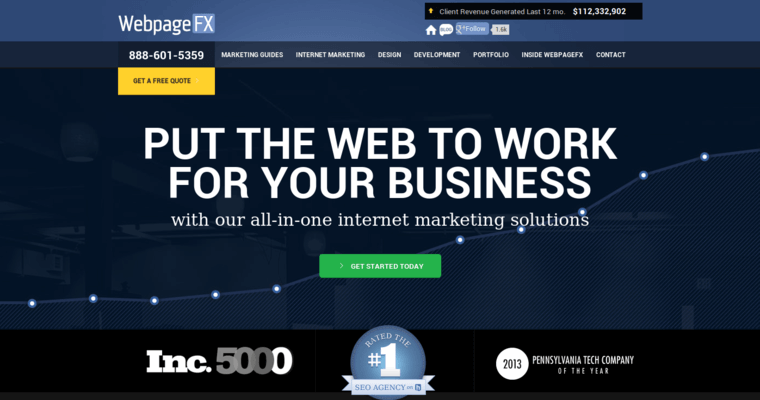 Webpage FX has won numerous awards, both for giving back to the community and for top-notch web design services.